Our first born daughter turned 3 this week. She is named after her Mokoia farming grandpa, the light she was born beneath, all of the father’s of my father and the fragrance of our night walks early in her carriage. This is a tribute to all the 3 year old’s of the world. It’s as random as a stickboard, little momentos of the week with our birthday girl. It’s auspicious (as my best-friend noted) that I overcame my 20 year fear and made my first ever sponge. I sawed it in 3, buttered it with raspberry jam, filled it with cream and drove it to her playcentre birthday morning tea. The construction was photographed above the puzzles, beneath the hand puppets with sandpit in the background. Keep watching until the end – thanks for the silent giggle Vida. I’ve been reminded to treat life as a meditation, an opportunity to be present to the moment, to breathe and to observe. When I remember, I watch the moment, even if I have to act as a silent commentator: “I’m sitting in the feeding chair breastfeeding our daughter. She’s looking up at me reaching out to tug my hair. She’s rubbing her feet together”…When I do this I see the beauty and I’m relishing this gift of being a mother with more occurrence. Mindfulness is feeding me. I’m especially noticing the fragrance and the tactile feel of the now. D: Are you still grumpy? D: I shout at you too. M: Oh darling (kneeling down).Wouldn’t it be nice if we could both just talk like this to one another. D: We just need to be happy. 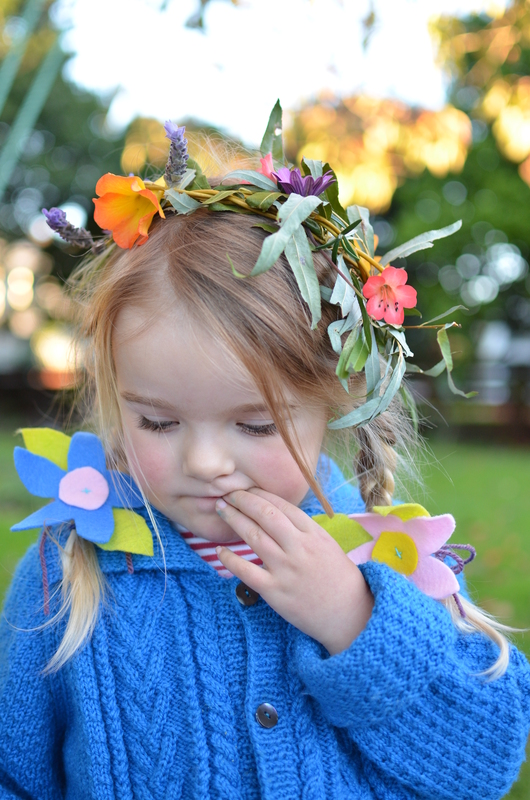 Dear friends gave our little one an autumnal ceremony as a gift – graciously and lovingly honouring my request for no bought presents. 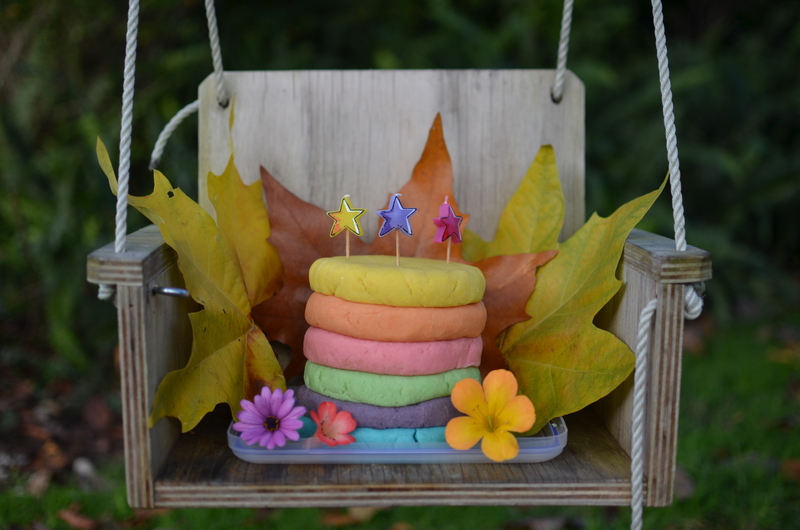 This rainbow playdough cake was so enchanting it caused a 5pm toddler tussle which brought out the gluten free lime and coconut cake as a diversion. I promised Kelli I would borrow the idea for birthday gifts to come. Thanks Marijke Smith for taking this photo. What do ovaries, vanilla ice-creams, peppers, wild sisters and African summits have in common? 3 !!! Bon et joyeux anniversaire !